Kids will love relaxing or reading their favorite book in Mila Furniture childrens wooden rocking chair. 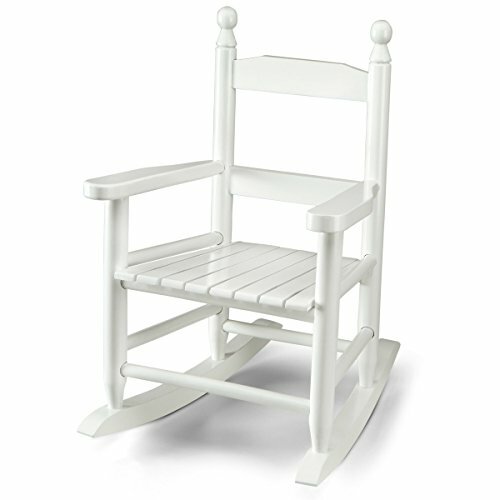 The rocker is made from kiln dried hardwoods with a high gloss painted white finish. The curved slat seat provides a traditional design and comfortable seating. Perfect addition to any room in your house. Assembly should be done by an adult. Suggestion: to add stability to the rocking chair, apply a small amount of high quality glue to wood holes during assembling. Tools required for assembly: philips head screwdriver (not provided) and hammer (not provided). Intended for children ages 3 - 8. If you have any questions about this product by Mila Furniture, contact us by completing and submitting the form below. If you are looking for a specif part number, please include it with your message.